In a digital world printed newspapers look like a lazy information source. Not because the content they aggregate (daily news, sport, business, gossip, entertainment, horoscope, cartoons, weather, etc) is not well done in itself. More so because it is served in an aggregated “box”, take it all or leave it all. This aggregation to a single source was fantastic for consumers historically because there was nowhere else that you could find so much information in one place. Even if you only consumed a fraction of the information available in a newspaper, where else could you find so much up to date information you wanted to know about (and perhaps some you didn’t) in one place on a daily basis? It was also historically fantastic for advertisers who could go to a single source to advertise and get their message to a large chunk of the population in a very immediate way. Needless to say it was better again for the newspapers themselves who could sell this aggregated content to both consumers and advertisers, and profit accordingly. These days the widespread availability of digital news and information is deconstructing the aggregated model as consumers pick and choose what content they consume, and from a variety of sources. Consumers also currently pick and choose whether they will pay for that content. So the new model is not driven by editors deciding what information you can access and what you will pay to see it, but is now also driven by the consumer deciding what specific piece of content they want, how they will access it, and whether or not they will pay for it. At the moment paywalls are going up around newspaper content like never before, walling off previously free content and forcing consumers to make choices about their access to news content. At the same time forcing newspapers to engage their consumers like never before in order to continue to secure advertiser dollars. These advertiser dollars are themselves deconstructing across an expanding range of digital advertising options. Traditionally newspapers have only had to have a very loose one-way understanding of their consumers, perhaps only enough so they could deliver the content to their front lawn every morning. A relationship that said, “you asked so here it is”. Now newspapers have to move to a much deeper consumer relationship and understanding. Digital consumers are now so used to just consuming the content relevant to them as an individual that if they are now having to pay I believe they will be looking for a personalised content parcel wrapped in a digital experience, rather than an aggregated box of news. 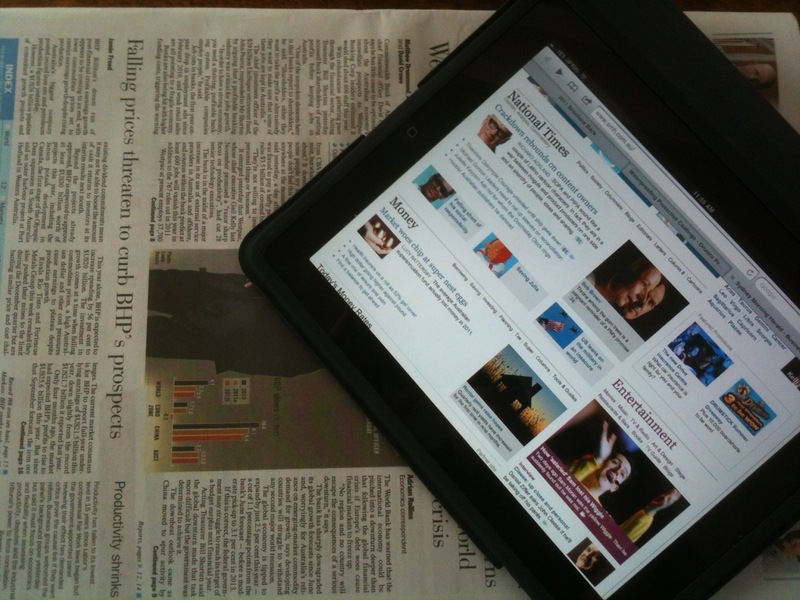 So is this the end for newspapers as we know them? Will digital savvy people simply move elsewhere on the internet to avoid paywalls, and consume the news content they want from an alternative free source? I think the answer is no. More than that, I think this is a fantastic opportunity for newspapers to rally consumers to their masthead brand, create a deeper two way relationship with their consumer, and lead them full circle – from paid print content to free digital content and back to a paid “walled garden” of trusted digital news content in a new way. Like so many aspects of business it all comes down to the relationship you have with your consumer. Where previously it was enough for that relationship to be almost anonymous and definitively one-way, the digital revolution has meant that newspapers now need to have a genuine two-way relationship with their consumer like never before. This also presents an opportunity like never before to offer personalized content (and with it lucrative personalised advertising) that will engage the consumer and bind them to your brand. It is now being proven time and again across the digital spectrum that where you can engage, rather than just serve up to, your digital consumer the majority will be happy to pay for the service. The challenge for newspapers in a modern world is how to structure news content in a way that gives their customers a fresher, more personalised experience inside the paywall that exploits the unique content newspapers create.